Our charges cover the cost of helping to promote your business that will generate sales leads and enquiries. You can measure the results. You can start with a small budget, then spend more (if you wish) as you see the service working. What if I already have a video? Great. We can still help you generate sales leads, customer enquiries and ultimately generate sales of your products and services. We are happy to do this even with videos made by other companies. What if I need a website to play the video? Our charges include a proper website hosting package and website design to play the video. We can also provide a .uk domain name registration service via Nominet for £7(incl. vat) that is payable every 2 years. What if I need to get a video made? Our video production team can visit your business premises to film your business and produce a video that will bring you additional sales. We have proven techniques to make this happen. What kind of video distribution do you offer? We use many distribution channels and targetted, ethical, social media techniques, to get people watching your video. 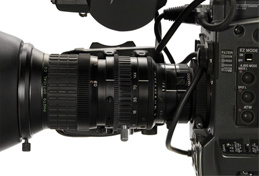 We enable the viewers to contact you directly about what they see on the video. Our videos and all our work is very well optimised in search engines because we've been doing this for around 20 years and we know what works. We only offer ethical search engine optimisation. We play your video on many video distribution channels. We play your video on a dedicated entry on Stirling.co.uk that has been established since 1994. We play your video on our MyTownOnVideo.co.uk websites for your town or city. We play your video on your own website too. In everything we do, the results are measured and reported back to all our customers. That's why lots of them have been with us for many years. *Videos on 3rd Party websites are subject to the permission being granted by 3rd party website owners. We also distribute videos made by other video production companies & freelancers. Stirling.FK9 4NF. Registered in Scotland No. SC325397.